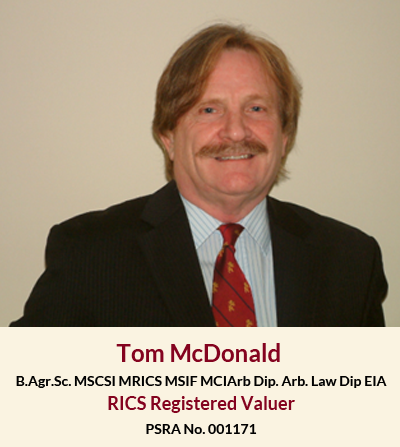 Tom McDonald & Associates have a proven heritage of Sales Success and a reputation for Professionalism, Vision and Values. As the leading Auctioneers, Valuers and Chartered Rural Surveyors in the midlands we provide a bespoke service to the property sector in relation to the Sale or Valuation of Commercial, Industrial, Agricultural, Equestrian, Forests and Rural Properties. We are also qualified, accredited and experienced in Dispute Resolution processes. Uniquely, in the sector we provide professional services in relation to these areas. Experienced and trustworthy we pride ourselves on our Professionalism, Independence, Integrity and Commitment to our clients. We have no shareholders to satisfy - just you, to deliver the best results. We have an in depth knowledge of the markets we service. These include all aspects of selling, buying, valuation, expert witness and dispute resolution processes in relation to Residential, Commercial and Rural Property. Diversity is one of our major strengths. We are professionally qualified and accredited by various national and international organizations. Tom McDonald is a professional member of the following organizations: the Society of Chartered Surveyors Ireland; the Royal Institute of Chartered Surveyors; the Chartered Institute of Arbitrators; The Agricultural Science Association and the Society of Irish Foresters - we bring confidence through our professional standards. Tom McDonald is a former Chairman of the Society of the Chartered Surveyors Ireland Professional Rural Group. Tom McDonald with three other individuals produced 'A Guide to The Valuation of Commercial Forest Plantations', the first professional guidance book on the valuation of commercial forests in Ireland. He is also one of the primary people in association with the Society of Chartered Surveyors Ireland in the production of 'The Irish Forestry Land Market'. At Tom McDonald & Associates we work in close partnership with you to provide an exceptional level of service with a real depth of expertise. One of the accolades we recently received stated: "We thank you for making the process so clear and easy for us. You were with us every step of the way"
We combine our wealth of experience and expertise with the latest information technology and communication systems to deliver a first class service to our ever expanding client base. Our modern office is conveniently located at Upper Main Street, Portarlington, Co. Laois in the midlands of Ireland. We service a wide range of established clients from private individuals to farmers, major land owners, Banks, Corporate institutions, County Councils, State and Semi-State Bodies, professional firms and groups. Due to our excellent working relationships and proven track record with these groups and individuals we have developed a vast net work of property contacts through-out Ireland. Our clients recognise us for our skill sets and professionalism. We combine these with national expertise and local knowledge to provide the best results. One of the hall marks of our business is our vision and our values and with our heritage of proven sales success, expertise and professional qualifications we have one of the most enviable reputations in the sector. Results speak for themselves and it is no accident that a high proportion of our activity is from repeat business and referrals from our satisfied and ever growing client base. Are you selling a site, land, town or country house, farm land, equestrian, forestry or commercial property? Do you require a Valuation on any of the above? Do you require advice and expertise in relation to renewables? Do you require a Dispute Resolution process to resolve this dispute? If you do – LOOK NO FURTHER. Please contact us today in confidence: 057 8623643. We hope you enjoy our web site and find it useful and informative.